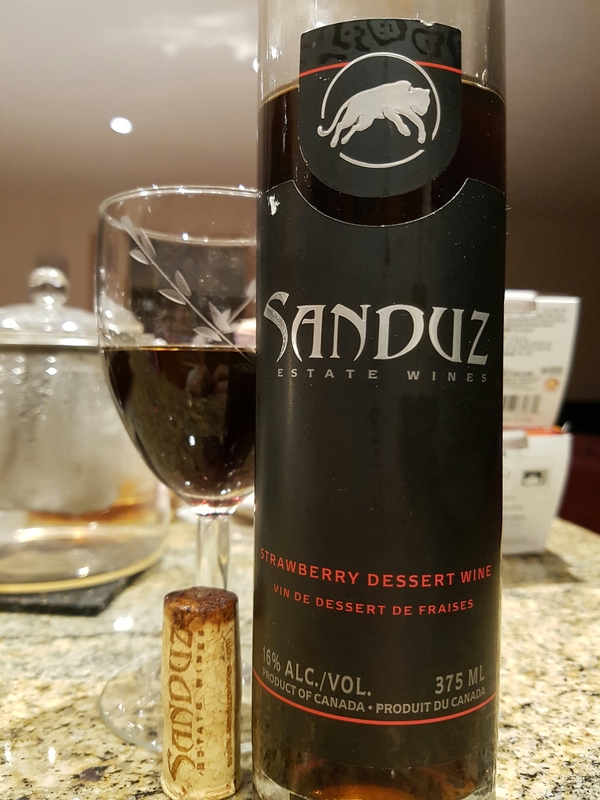 Strawberry Dessert Wine – Sanduz Estate Winery (Richmond, BC, Canada) | Justintoxicated. Visual: (cellared for 2 years). Real cork. Pours dark ruby red with a hint of purple, clear and thicker viscosity. Summary: An incredibly inviting real strawberry nose starts it off nicely. Its sweetness is rather tame of a dessert wine; I suspect this has been fortified because I detect a prominent eau-de-vie presence in the mids that carries through to the finish. About 60/40-alcohol/fruitiness ratio. Not your typical syrupy sweet dessert fruit wine, quite sippable.